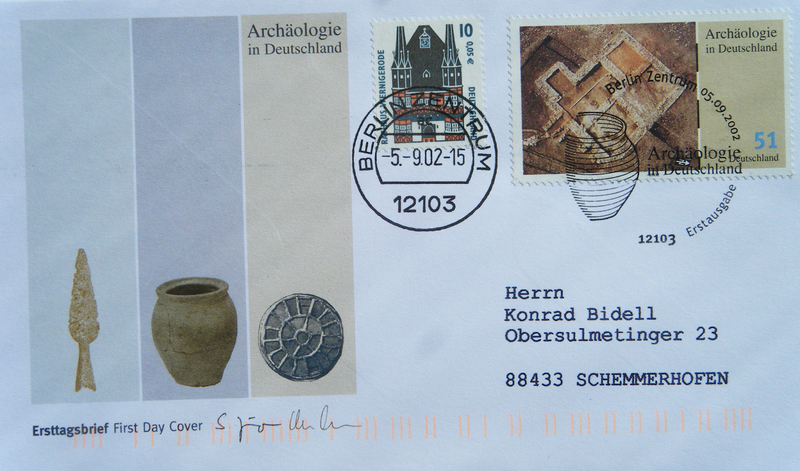 Thank you Doris, for this 2002 'Archaeology in Germany' FDC! On the stamp is the Roman Bathhouse of Wurmlingen which was in use by the Romans from 100-260 CE. After this occupation the Alemanni purposed this structure, building wooden housing over top. The postholes for this secondary use are seen as the dark patches located within the First Day cancel.